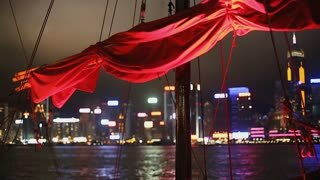 Search Results for "red sails"
Hong Kong, China - December 1, 2016: the red sails of typical junk boat in Hong Hong skyline. Aqua Luna red-sail boat from Tsim Sha Tsui in Kowloon. Hong Kong, China - December 1, 2016: City skyline with illuminated skyscrapers and red-sail junk boat Aqua Luna, sailing at night for touristic tour. Sea point of view from moving ferry boat. 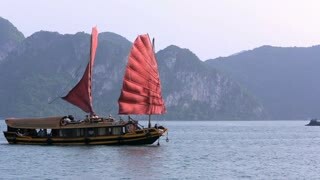 a sailboat with scarlet sails floats by the sea. red sails against the blue sea. 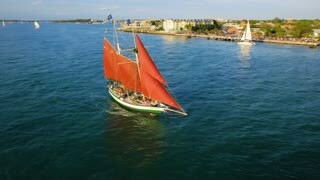 Aerial 4K drone footage of a luxury catamaran yacht with white and red sails gently sailing in blue and emerald green sea waters in a sunny relaxed weather. Sailing ships with red sails in St. Petersburg June 24, 2013.Tripod. Hong Kong, China - December 8, 2016: Aqua Luna red-sail junk boat with Central Plaza skyscraper and Hong Kong Convention and Exhibition Centre on city night skyline. Beautiful bougainvillea flowers in the foreground with boat with red sails at rest in the Ventura, California harbor as darkness falls and lights come on. HONG KONG - OCT 26, 2017: Traditional ancient Chinese cruise sailboat or junk with red sails departs from Hing Kong pier and crosses Victoria harbor against beautiful night cityscape on background. White and red sails of yachts and boats on background of clouds in sky. 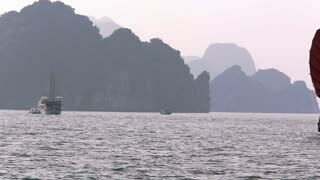 Beautiful tourism. Adventures in the ocean and coast where river Krka flows into Adriatic Sea in Europe. Night aerial view at luxury residential complex Alie Parusa (Red Sails) from river side. Moscow, Russia. Hong Kong, China - December 1, 2016: Time lapse skyline with Aqua Luna red-sail junk boat from Tsim Sha Tsui in Kowloon. landmarks Central Plaza and Hong Kong Convention Exhibition Centre at night. Hong Kong, China - January 1, 2016: 4K panorama of skyline with Aqua Luna red-sail junk boat from Tsim Sha Tsui in Kowloon. landmarks Central Plaza and Hong Kong Convention Exhibition Centre at night. HONG KONG, CHINA - APRIL 24, 2017: Junk Ship With Red Sails at Victoria Harbour in Hong Kong, China.